West Trenton, N.J. – The New Jersey State Police Crime Suppression South Unit and the Drug Enforcement Administration (DEA) arrested nine people in connection with an international drug ring that was based in Jamaica and operated in New Jersey and California, supplying drugs across the United States. Members of this international drug trafficking organization and its leader, Andrew Davis, have been arrested and the organization dismantled by this multi-agency coordinated effort. The investigation, dubbed “Operation Next Day Air,” began in March of 2011 and targeted the shipment of large quantities of cocaine through public delivery services. The joint investigation focused on the alleged drug distribution operation of Andrew Davis, 34, of Kingston, Jamaica. The US Marshal’s Fugitive Task Force arrested Davis in Los Angeles, California on Monday, September 16, 2013. He was extradited to New Jersey on Tuesday, October 8. Davis allegedly directed his organization’s drug operations from various locations in Jamaica, California, and New Jersey. 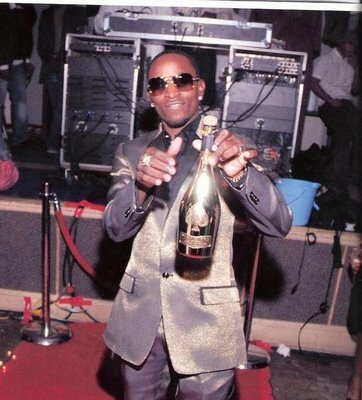 He is also a well-known Jamaican dancehall artist who goes by the name “Flippa Mafia.” Investigators determined that after Andrew Davis returned to Jamaica in 2012, Andrew Davis’ brother, Kemar Davis, 22, of Hollywood, California took over the transcontinental shipping operation and sent large quantities of drugs from California to New Jersey, in close consultation with Andrew Davis and Marsha Bernard, 28 of Cherry Hill. Once the drugs arrived in New Jersey, Marsha Bernard, and others, received the shipments of cocaine for further distribution to other drug traffickers throughout New Jersey. Bernard, under the direction of the Davis brothers, primarily dealt with the customers, most of whom purchased kilogram quantities from the Davis Organization, and collected the money from the buyers. Bernard would then handle the drug proceeds as they were sent back to Andrew Davis in Jamaica and to Kemar Davis in California. The investigation began in March of 2011, when detectives and agents from the Camden High-Intensity Drug Trafficking Area (HIDTA) Task Force along with the Burlington County Prosecutor’s Office seized two packages from a mail facility in Marlton, New Jersey, allegedly destined for Andrew Davis and Marsha Bernard. Each package contained four kilograms of cocaine. In a coordinated effort between the New Jersey State Police and the DEA, over the course of this investigation, detectives documented meetings involving the transfer of multiple kilograms of cocaine among Shelly Ann Brown, 34, of Trenton, Marsha Bernard, Sidonie McLeod, 28, of Cherry Hill, and James McBride, 40. On March 11, 2013 Angel Rivera, 35, and Juan Cortez 41, both of Vineland, were arrested after investigators observed Marsha Bernard deliver a package containing approximately one kilogram of cocaine to them in Cherry Hill, which they thereafter secreted in a hidden compartment in Rivera’s vehicle.